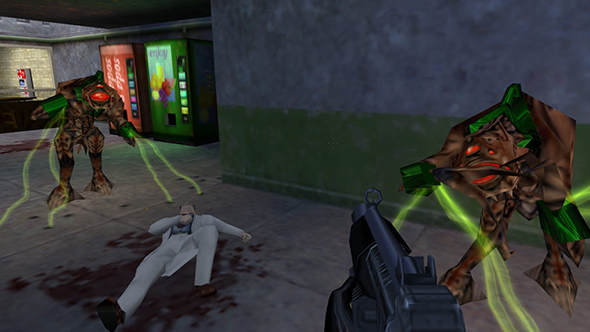 The original Half-Life’s AI seems pretty quaint nearly 20 years later, but it was a revolution at the time. Even now, people are still digging up new details on how it all works. Now we even know that smell plays a role in the game. Details like this are one of the reasons Half-Life is among the best FPS games on PC. This revelation comes via YouTuber MarphitimusBlackimus, who has broken down the how and what of the smell system. The types of scent are named in code are meat, carcass, and garbage, but the latter seems to have gone unused. Guards will comment on various odors left by corpses. It seems scientists were intended to make similar comments, but this feature is broken in the final game, so we’ll just have to assume the lab work has ruined their olfactory capabilities. There’s nothing truly hidden about this, but it’s such a fun little detail to have gone largely unnoticed for nearly 20 years. If you’re looking for a reason to dig back into the original Half-Life, a former Valve designer has just put out a major new mod that looks to be a great reason to dive back in.